Aluminium Doors & Window Solutions design, manufacture and install a wide range of aluminium door, window and curtain walling systems for use within the Public Sector. With narrow sightlines, configuration flexibility and a wide range of colours and finishes to choose from, our systems are equally suited for modern design builds as well as older style buildings such as traditional schools built at the turn of the century. Our systems are aesthetically pleasing and provide the high performance and energy efficiency required by today’s buildings. Click here to find out more about our range of aluminium windows. We manufacture a wide range of manual and automated aluminium doors according to your specific access requirements that together with our windows and curtain walling provide an integrated system. Click here to find out more about our range of aluminium door systems. Aluminium Solutions’ curtain walling has been specified widely by local councils. 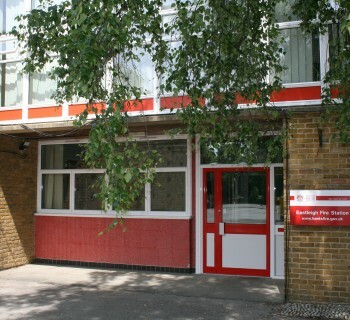 Typical installations have included council office blocks, schools, fire stations, police stations and other public buildings. Our strong yet lightweight product provides the ideal solution for multi-floor applications whilst providing a high performance, energy efficient structure demanded by modern and older buildings alike. Where a building requires low rise framing ie a ground floor integrated bank of windows and access door, Aluminium Solutions offers a complete system for ground floor treatment. Typical applications include public buildings and schools as well as the retail sector and residential buildings. We provide a high performance solution that is both versatile and adaptable for any ground floor treatment with windows and doors that can be optionally thermally broken. Narrow aluminium profiles ensure a desirable slimline look for any building. Display windows can be supplied insulated or non-insulated for applications such as leisure centres, schools and hospitals. Click here to find out more about our ground floor treatment systems.